Last night my friend and I caught the train to London to see one of the most inspirational people in the world: Malala Yousafzai. 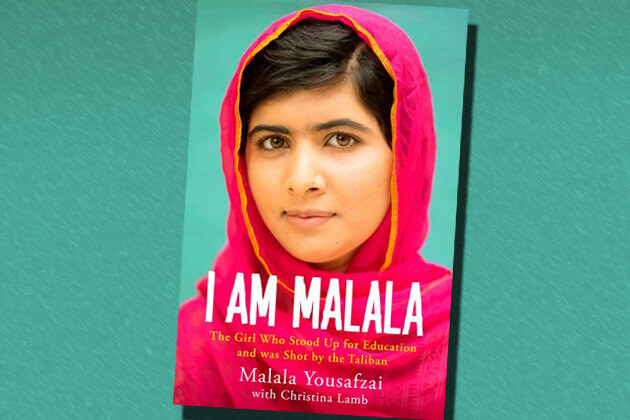 Malala was propelled in to the media spotlight in 2012 when she was shot in the face, on a school bus, in front of her friends by the Taliban. Her crime? Campaigning for girls educational rights in Pakistan. She was fifteen years old. Since this horrific ordeal, Malala has had to move to Birmingham where she received life-saving hospital treatment, because it is simply too dangerous for her to return to her native country. Despite such life-altering circumstances, she still campaigns with immense tenacity for girls educational rights. It may sounds cliché, but what hasn’t killed her has indeed made her stronger. Last night Malala spoke to Jude Kelly, The Southbank’s Centre’s artistic director, for forty minutes about her life before and after that awful day in 2012. They were very strict about the time schedule, as Malala and her family had to drive back to Birmingham so that she could still attend school in the morning. How many other sixteen year old girls hold cultural discussions on a Sunday night? I spent the whole forty minutes in awe of this girl, so dedicated to education and so loyal to her country and to our country too. It is difficult to articulate just how informed, charismatic and actually, how funny she is. When an audience member asked her how she dealt with criticism (ranging from misogynist attitudes to people believing she ‘staged’ the shooting she was a victim of) she replied that she could deal with them criticising and not supporting her, as long as they still supported educational rights for girls. I find it impossible to believe that anyone has ever doubted her. Even if you are cynical of the way she is represented by our media, even if you think she is too young to be nominated for the Nobel Peace Prize, you cannot deny that she is an inspiration to women and to men around the globe, and that what she is advocating is immensely important and worthy. Next > Re-blogged by The Belle Jar: Jessica Swale’s ‘Blue stockings’at Shakespeare’s Globe; Entertaining, Educational, Feminist Theatre.